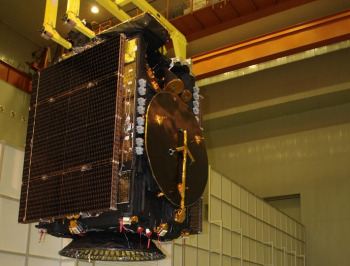 A Russian Government Proton-M was action on Monday, tasked with lofting the Ekspress-AM8 communications satellite on what was a multi-hour flight to a geostationary orbit via its DM-03 Upper Stage. 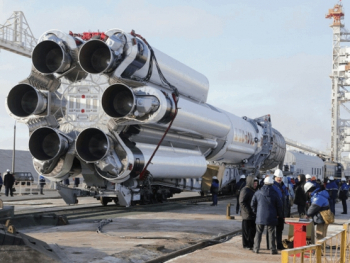 The Russian workhorse launched from its traditional home at the Baikonur Cosmodrome in Kazakhstan at 19:00 UTC, prior to a successful spacecraft deployment. The Proton booster tasked with launching the satellite is 4.1 m (13.5 ft) in diameter along its second and third stages, with a first stage diameter of 7.4 m (24.3 ft). The workhorse of the mission to send the satellite to its destination is the Blok DM-03 upper stage. Featuring larger fuel tanks than the older Blok DM-2, the DM-03 was designed to increase the available performance of the rocket for future payloads. The Block DM carried out a three burn mission and successfully deployed the spacecraft. Ekspress-AM8 is an Ekspress-1000HTB platform from Russian manufacturer ISS Reshetnev for the national satellite operator RSCC (Russian Satellite Communications Company). Work on payload instruments was subcontracted to the French division of Thales Alenia Space. Similar satellites that have launched before include the Ekspress-AT1/2, AMOS 5, KazSat 3, Yamal-300K, the 3 Luch-5 data relay satellites, the 2 GLONASS-K nav sats and the failed Telkom 3. 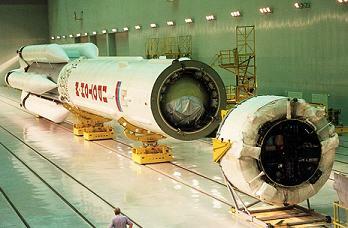 The Ekspress-AT1 is the most similar spacecraft to the Ekspress-AM8 bird. The original launch date has suffered from delays. Originally scheduled to launch in 2014, it slipped into May of this year when the Proton’s second stage fuel lines were discovered to be contaminated with metallic dust. Another issue with the launch vehicle slipped the launch into September. 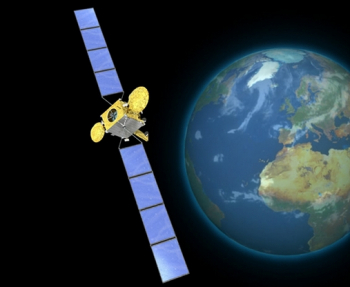 Meanwhile, an ILS Proton-M has secured a new contract for HISPASAT. Set for launch in the first half of 2017 from the Baikonur Cosmodrome, the satellite will be one of the two satellites that Space Systems Loral LLC (SSL) of Palo Alto, California is building for Hispasat, Hispasat 1F or Amazonas 5. Both weigh approximately 5 metric tons, with the other contract going to SpaceX. ILS will dual integrate both missions and Hispasat will have the flexibility to determine the satellite-to-launcher assignments very late, based on business and schedule considerations. “The partnership of HISPASAT satellites launching on Proton dates back over 10 years with the successful launch of HISPASAT’s first AMAZONAS satellite in 2004 on ILS Proton,” noted new ILS President Kirk Pysher, who recently took over from Phil Slack. The satellites will have an expected useful life of 15 years and will be built on SSL’s flight-proven 1300 platform. Despite Proton’s issues over recent years, Carlos Espinós Gómez, CEO of HISPASAT, noted his faith in the rocket.